The final Chevrolet Cruze won’t stick with its owner for very long. The compact car, and a piece of General Motors history, will be given away via a contest. Local CBS News affiliate WKBN reported Monday that the anonymous owner plans to hold a press conference today at 11:00 a.m. Details on the contest will be revealed then. We know right now that the contest will take place in Poland, Ohio. 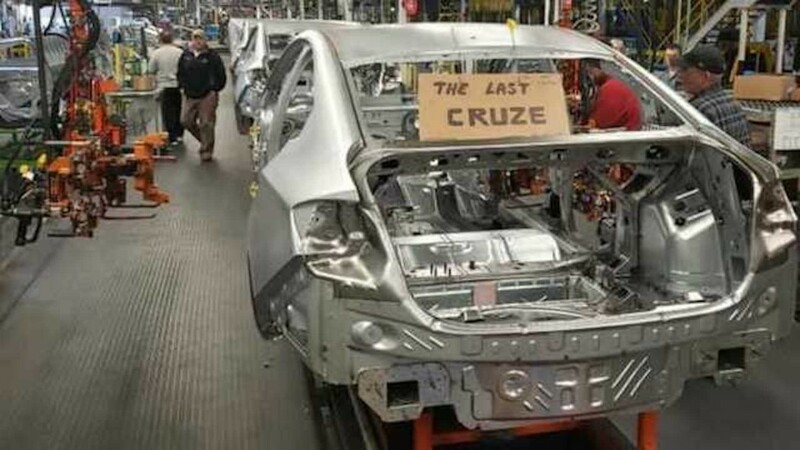 Additionally, the mystery owner said anyone will be able to win the final Chevrolet Cruze that left the now-idled Lordstown plant, no matter where they live. Recall, the rather pedestrian Cruze, finished in white and LS trimmings, was originally destined for a Florida dealership. 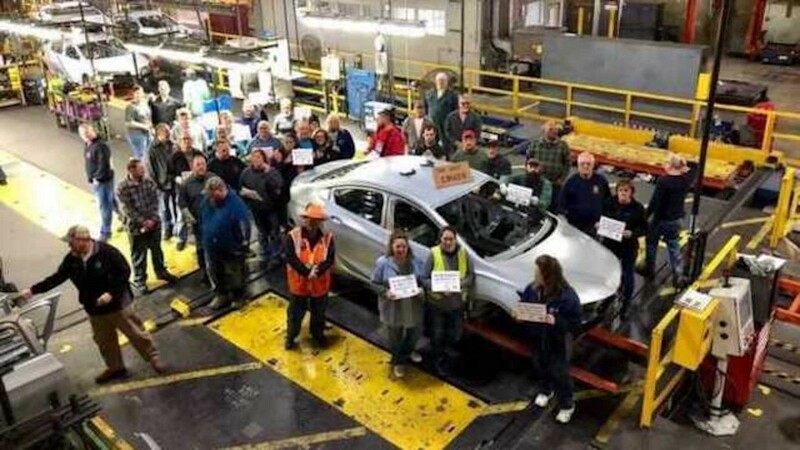 When the local United Auto Workers union contacted the dealer to ensure the car stayed in Ohio, they were surprised to learn someone had already reached out. The mystery buyer, who has still remained anonymous, contacted Sweeney Chevrolet in Boardman, Ohio, to express interest in buying the car. The Florida and Ohio dealerships worked out an inventory swap to keep the final Cruze in Ohio. The current owner has had the car for just over one month. Although the Cruze was a mainstream Chevrolet offering, it marked the end of General Motors contesting the compact car segment. Various GM brands have rivaled cars from foreign automakers for decades, including the Cavalier and Cobalt. With the end of Cruze production, we’ll likely never see GM produce a traditional compact car in the same sense. Lordstown’s future remains an open-ended question. Workers are hopeful the plant will come back online after the UAW and GM work on a new labor agreement. The current contract expires this September. The plant first opened in 1966 and built numerous Chevrolet and Pontiac models. We will update this story when we learn more about the contest to win the final Cruze. Subscribe to GM Authority for more Chevrolet Cruze news, Chevrolet news, and around-the-clock GM news coverage. GM is showing how naive & short sighted they are by discontinuing the cruise and exiting a segment that sells 1.5 MILLION vehicles a year. You hope gas prices keep rising because you want automakers to keep making econoboxes? Talk about naive and shortsighted. My dude, you are on a whole other level of petty. Glad I bought my 19 Cruze late last year. Critics can say what they will, but it is one of the best looking cars on the road. Hyundai was second, but the redesign has really uglified those cars. And the Cruze rides great, and has enough bells and whistles to make most everyone very happy. The Cruze was a great car. GM is fading out fast with all the plant closures. Propping them up with Government hand outs was a waste of time. Their failure to bring a cheap electric car to market sooner will be their undoing. Cheap electric car? Since ev’s are only good for urban commuting and absolutely useless for rural use or overland trips, I put ev’s in the same category as mass transportation. Since the government subsidies of $7500 tax credit with the purchase of an ev is no different than using highway gas taxes to subsidizing mass transit, kiss my grits. I live in a rural community, nobody I subsidizing my gas money. So as far as I’m concerned you can pay full price for your ev. How dumb can Generous Motors be!? A great little car for a second car or for low income people! I myself do not want a G D suv or truck! All the foreign manufacturers are just smacking their hands together looking, waiting for all the new customers they will be getting SAD!